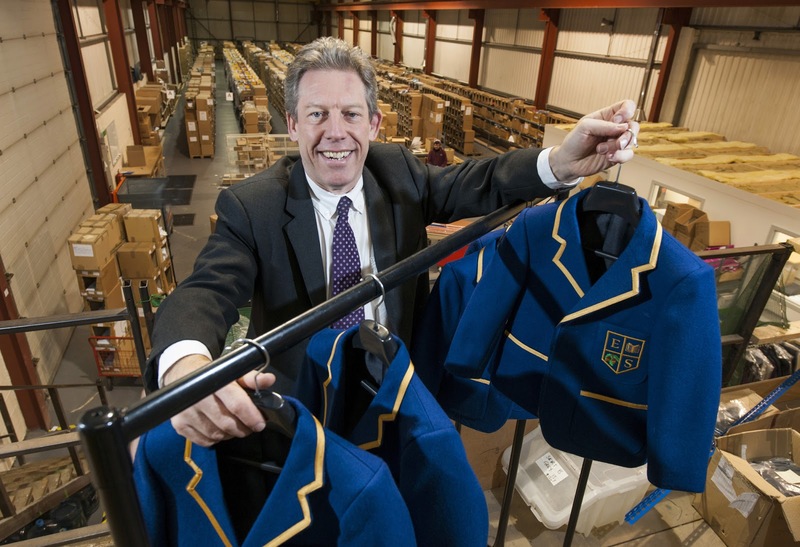 School uniform manufacturer and online retailer Perry Uniform has expanded its Leeds operation with the help of a £10,000 grant from Leeds City Council’s business growth fund. Based in west Leeds, the company has grown rapidly since it was bought out of administration by current owner Bernard Bunting, achieving 31% average growth per annum in each of the last three years, with order volume projected to reach £3.5m in the next year. Now, its 42-strong workforce has moved to new premises in Armley as the company bids to drive turnover up to £4.5m. The grant will be used to expand and equip the new premises, which will include a total of 30,000 sq ft of manufacturing and storage space, and create four new full time jobs – two machinists, a financial controller and a customer services team leader. A total of £110,000 has been invested in relocating to new premises and equipping the warehouse. It forms part of an investment package worth £810,000, supported by HSBC Bank in Leeds, which could ultimately see the company double its workforce and grow the business to £6M turnover. 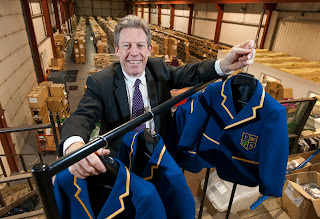 Specialists in uniforms for independent primary and secondary schools, Perry Uniform diversified into supplying blazers to sporting clubs and societies. Harlequins and Northampton Saints rugby clubs and Cambridge Womens’ Blues are amongst the famous names sporting the company’s bespoke clothing range. Perry Uniform also developed the uniform for the award winning musical Matilda, which launched at Stratford and was taken to the West End, winning numerous awards. The company is now exporting to the USA to support the Broadway edition of the musical. The company has recently moved its London office to Brompton Road, Knightsbridge, where its shop window will be designed to support local schools sourcing uniform from Perry and to launch the company’s foray into special occasion outerwear for adults in the autumn of 2013. The company’s commitment to training saw Carra Grieve, who joined the business as a school leaver from Leeds West Academy, named ‘apprentice of the year’ in 2012. Carra is continuing her training with Perry Uniform as a garment technologist. Bunting himself recently completed the Goldman Sachs Business Growth Programme and has ambitious plans to grow the business over the next three years. “This is an excellent example of how we in the council can work with businesses in Leeds to help them invest and grow. Leeds City Council’s business growth fund was set up to help small and medium sized companies that are investing for growth and creating new jobs. Grants of up to 20 per cent of the total capital cost, subject to a maximum of £10,000, are available to help cover the cost of capital equipment, machinery and tools, alterations to land/premises and security improvements. Companies in a range of sectors, including manufacturing, manufacturing related services, wholesale and distribution, construction, media production or business to business services, can apply for grant support. Grants are designed to encourage employment creation, with the level of grant funding companies receive linked to the number of new jobs the investment creates. To find out more about the Business Growth Fund, contact the council’s Economic Development service on 0113 395 0677.